Najir Hussain is Nepalese theatre and cinema actor, known for his role in Hostel Returns. Najir began his career in acting at the Mandala Theater. 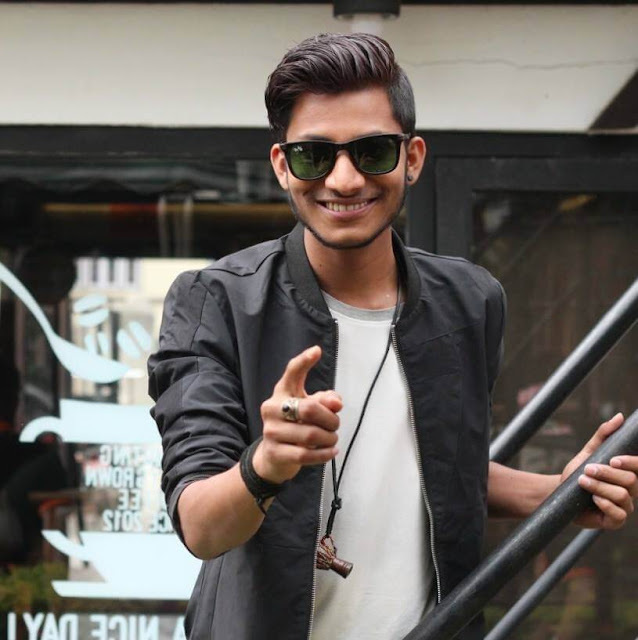 Najir initially came to Kathmandu to pursue his studies and improve his dancing skills. He joined a ballet class in Kathmandu. His teacher found him expressive, and suggested he join an acting class. Najir then joined as trainee in Mandala Theater in Kathmandu. His first theater drama was Charandas Chur, where he had small role; he received a lead role in the drama Buddha Baani. Najir got his film break as Helmet Man in Priyanka Karki and starred as Punte Parade in Samyam Puri. The film was not commercially successful and thus Najir did not get much recognition. Hostel returns and success Najir played the role of Rameshwor Yadav in Hostel Returns. His role and acting was publicly acclaimed, and he became popular overnight. He then acted in successful movies like Junge, Bir Bikram, and Gaatho. Najir was born in Simara .He came to Kathmandu to learn dancing .He has learnt ballet dance and is passionate dancer and writer . Najir holds bachelor degree in Sociology and Literature. Najir was expressive while dancing as well and that’s when his teacher suggested him to join theatre and start acting.He then got his first role in Theatre drama ” Charandas Chor. He did numerous theatre acts after then. Najir got his filmy debut with Punte Parade where he played role of a Helmet Man . But Najir got his break through Hostel Returns .His role as Rameshwor Yadav in film was critically acclaimed and most of his dialogues “Akele cha vanera hepeko ” became popular .His southern accent in the film was highly acclaimed. Najir then acted as supporting actor in the films Jungee and Bir Bikram.He got his lead role in the film Gaatho where he portrayed role of a painter with socialphobia. His looks in the film was buzz in the market and he proved himself as a Versatile actor of the industry.Najir is definately one of versatile and next big thing of Nepalese Film Industry. Facts of Najir that you mightnot know. Najir got his first love letter when he was in Class 11. He is good ballet dancer. Najir is looking forward to work with Samragyee.There was news for Najir being in Samragyee starer film Ye mero hajur 2 but he is not in the film. He is big fan of Dayahang Rai and takes him as his inspiration.